This personalised wedding photo frame, engraved with a Mr & Mrs design, is a perfect gift for the couple to display in their new home! The ultimate personalised Wedding gift, this bespoke frame is a classic gift and will decorate the special couple's home for many years to come. Our wedding photo frame features gorgeous typography to adorn any special photo. Engraved with an elegant Mr & Mrs design and personalised with the details of your choice, this wooden photo frame with an oak veneer exterior is sure to be loved by the new couple. It makes a great valentines day or wedding gift for the happy couple, or is perfect as an anniversary gift to remember and cherish those memories made on the big day. 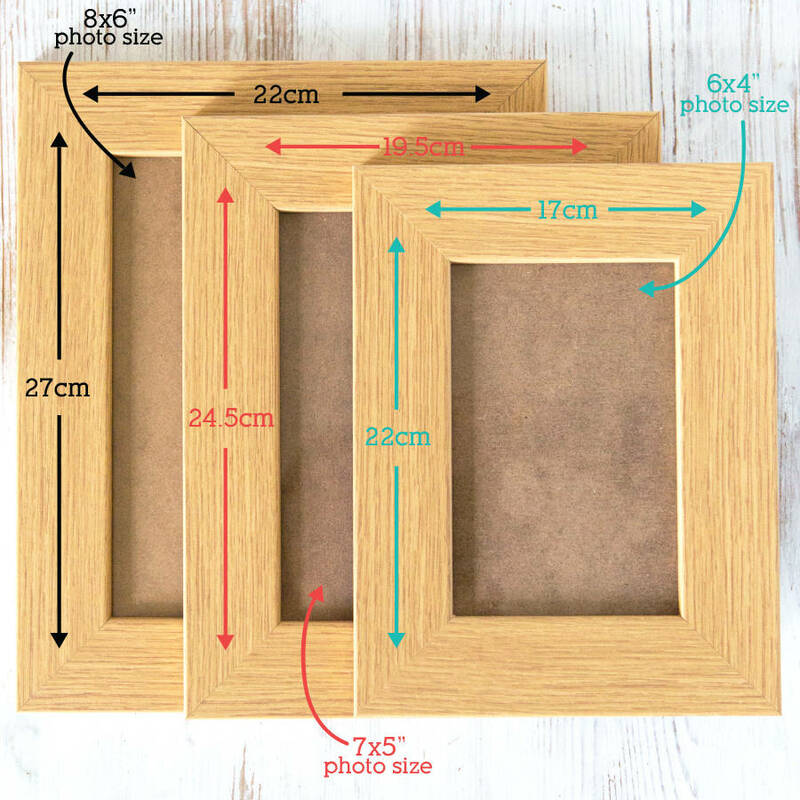 The unique frame will be cherished as a personal gift to your own husband or wife. 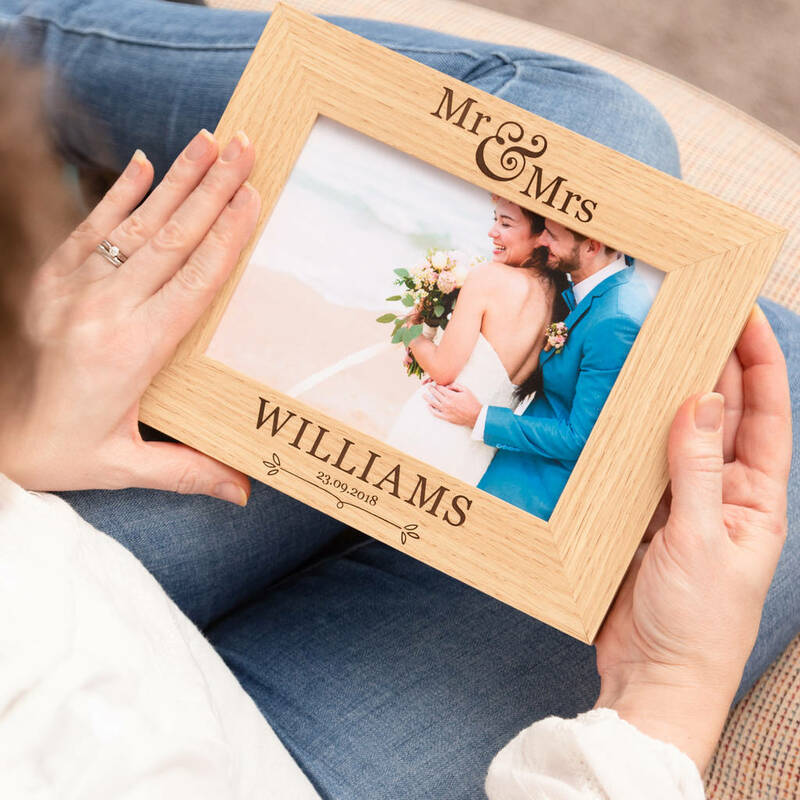 If the special Mr and Mrs have recently celebrated their wedding, then one of these stunning wedding photo frames will make the perfect personalised valentines day gifts for couples to display in their home together. Personalise with your surname and your choice of titles. We can engrave any combination you like, whether it's 'Mr & Mr', 'Dr & Ms' - the choice is yours. Your surname of choice will be positioned under the photo aperture in capital letters (unless requested in other case), with the wedding date underneath, and a little engraved flourish right at the bottom.